George Thomas Savage was born in Birmingham, England in 1869 to his plumber father, James and mother Anna Maria Savage. They lived on Ryland Street, Birmingham. Savage married Hannah Gent in Sydney in 1893 and they had two children together, Hannah Elizabeth and George Godfrey Savage. The couple lived at 133 Baptist Street and 15 Pitt Street, Redfern during the 1890s and early 1900s. From about 1918, the couple and their daughter lived at ‘Lindisfarne’ at 10 Point Road, Woolwich. They had a pet emu named ‘Billy Bedford’, reported at the time to be the oldest one in captivity. An article in the Daily News in 1942 noted ‘Billy is well plumed and he displayed his agility by chasing a Sun reporter and photographer around the spacious grounds of Mr Savage’s home’. Another article reported Billy’s death in 1949. Savage died on 3 July 1950 at his Woolwich home. ‘Mr Savage imports his supplies direct, and claims to have the most varied stock of carpenters, joiners, and engineers’ tools in Sydney…Mr Savage is the holder of several Government contracts for ironmongery…obtained in open competition with many of Sydney’s leading importers, which goes to prove his prices are right’. He gave demonstrations at his stores, with one in August 1909 showing to oil stones from India, ‘for which special properties are claimed’. His company became G T Savage Limited from about 1916 and was liquidated ‘voluntarily’ in 1927. Savage was a vice-president of the White Way Association, which included a cohort of businessmen whose aim was to finance adequate lighting in the central business district and encourage customers to visit their stores. He was also a Justice of the Peace. 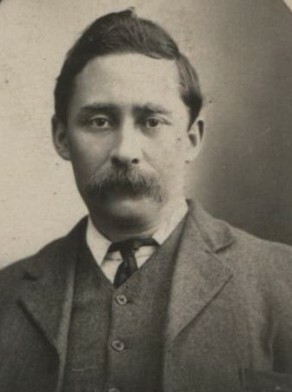 Savage was elected an alderman of the Surry Hills Ward, Redfern Council on 3 February 1908 and then the Belmore Ward in January 1911, serving until 1912. He was elected an alderman of the Belmore Ward again in February 1914, serving until 1916. Savage was chairman of the council’s finance committee, and he was also president of the Redfern Labor League.